Designed to allow any practical space of your choosing to have a shower. The Chelsea shower room will allow you to have the cleanest of lines and maximise space. 1x Walk in Enclosure with easy clean, safety glass from floor to below ceiling with minimalist safety rails. The shower tray is a beautiful slimline design at a height of just 25mm with a linear waste. The enclosure offers a sense of space and the shower head creates a wonderful feel with the wide aperture – rain effect. 1x Digital Shower – this system is best in class. As you adjust the temperature the backlit controls illustrate the shower modes. Other features include: exact temperature control avoiding temperatures surges – cool touch handles as the water is separate the taps are never uncomfortable to touch. Quiet pump system – automatic shut off. Temperature Protection. 1x Wall Mounted Chrome effect flat panel radiator with round design complimentary valves. 1150mm height and 500mm width. 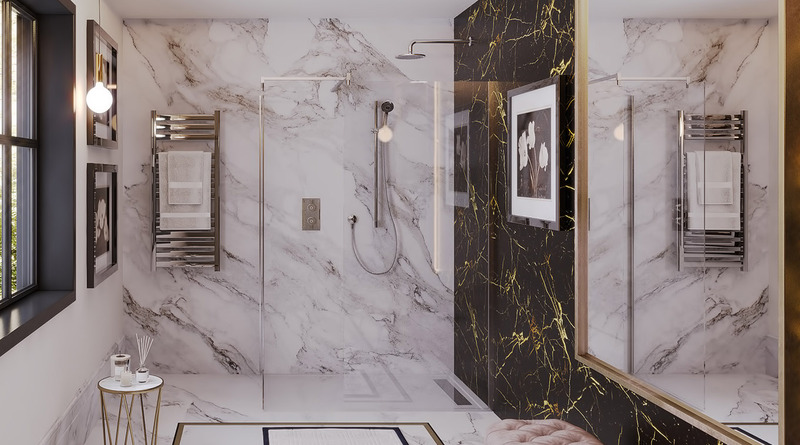 Complete walk in shower including two wall posts, one front panel fixing, one side panel fixings, one 900mm glass, one 800mm, one 1400mm x 900mm linear waste low profile shower tray, digital shower valve with riser rail and handset, and wall mounted shower arm and round shower head. 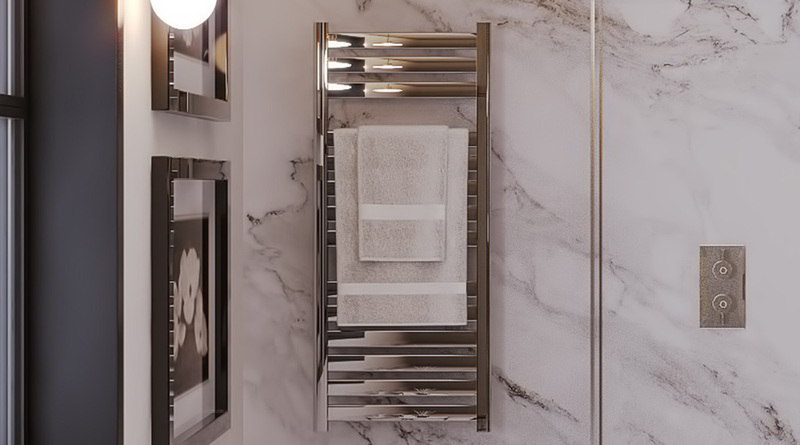 500 x 1150mm flat panel chrome towel rail with angled valves.